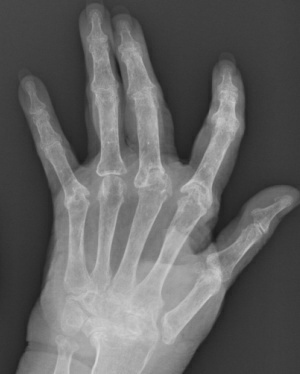 Radiographs of the hands demonstrate numerous erosions and joint deformities. 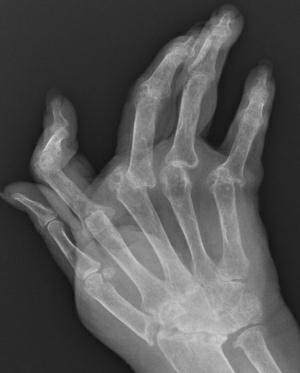 Advanced deformities are seen along the carpal joints. 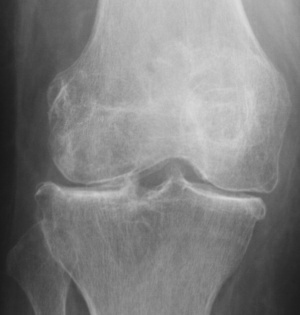 Large lucencies in the femoral condyles are related to large pannus formations. 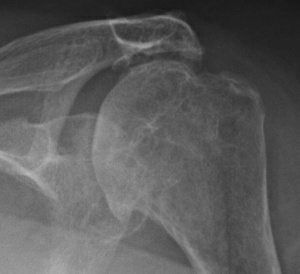 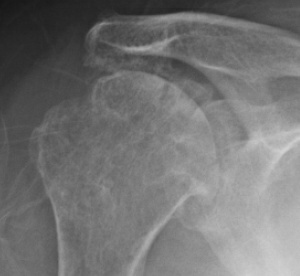 Shoulders demostrate osseous erosions superimposed on degenerative changes. 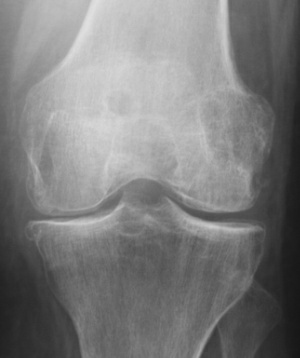 Other joint disorders that result in bone erosions include infectious arthritis, psoriatic arthritis, PVNS, lupus, hemophilic arthropathy, and other inflammatory arthridites.